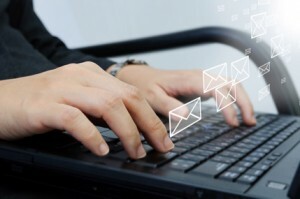 The first step to receiving and sending email is to ensure you have a valid connection to the Internet. Email messages that are sent to you from others are received and stored in a designated mailbox on the server. The messages that are on the server can be viewed by using Webmail, or these messages can be downloaded to your PC using various email clients. You may also find our Email FAQ helpful.